Play Global’s Tom Gillespie traveled to Meru, Kenya in December. Tom had planned to be in Meru during the Under 17 African Baseball Championships. When he arrived, Tom learned that the tournament could not start on time. The baseball field was not built yet! Teams from Tanzania, South Africa, Uganda and Kenya had come for the tournament. 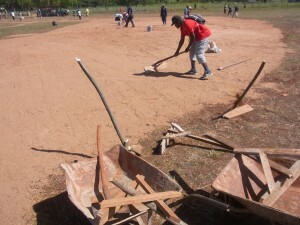 Players from all 4 teams pitched in to work on the field, and Tom helped too. 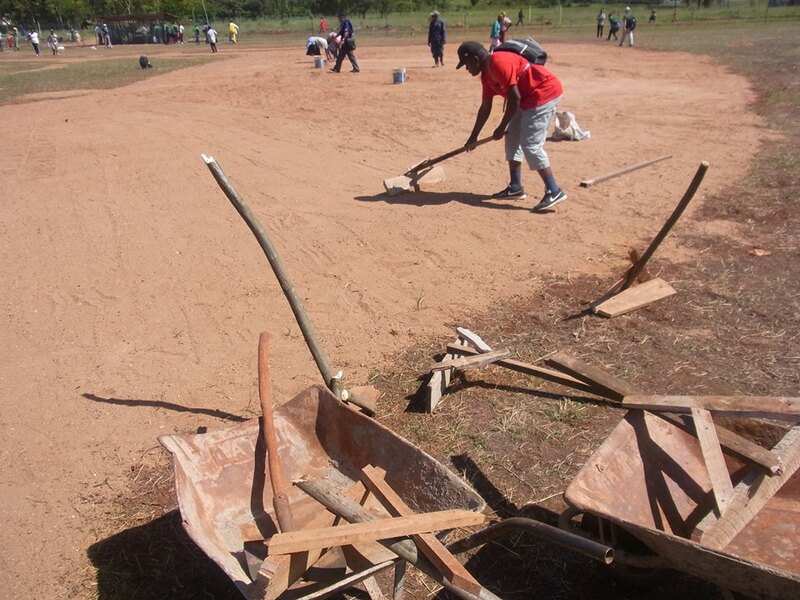 A spirit of teamwork and cooperation grew as players from different countries raked and shoveled together. “By the time the games started the next day, we all knew each other,” Tom said. During his visit to Meru, Tom met with five of the Ugandan coaches participating in Play Global’s coach education program. He also led a hitting practice for the Ugandan team, and made contacts for future Play Global programs in South Africa & Tanzania.